The Audrey Swarovski crystal collection has eye-catching sparkle, captivating glamour, and an urban chic style. 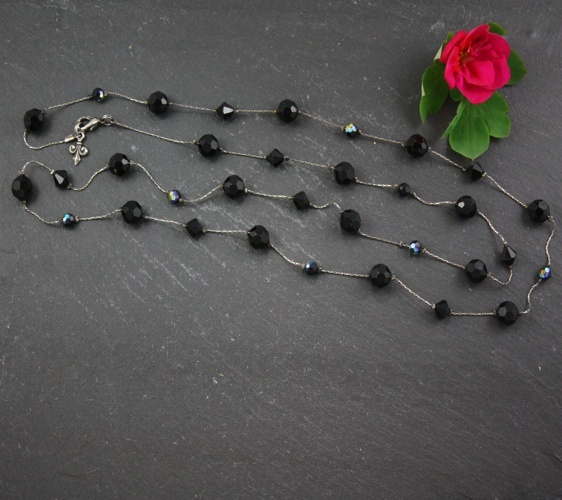 This necklace can be worn long or doubled up, the glimmer of Swarovski crystals offers a classy, simplistic elegance. Perfect for wedding jewelry, bridal jewelry, bridesmaid jewelry, or everyday jewelry. • Great for bridal jewelry, bridesmaid jewelry, career jewelry, holiday jewelry, or just everyday!